Landing page for the device has already gone live on Amazon and Flipkart, which suggests that the device will be available from both the e-commerce platforms. Not much is known is about the Galaxy A9’s pricing in India, however, some reports suggest that the device will be priced around the Rs. 35,000 mark in India. 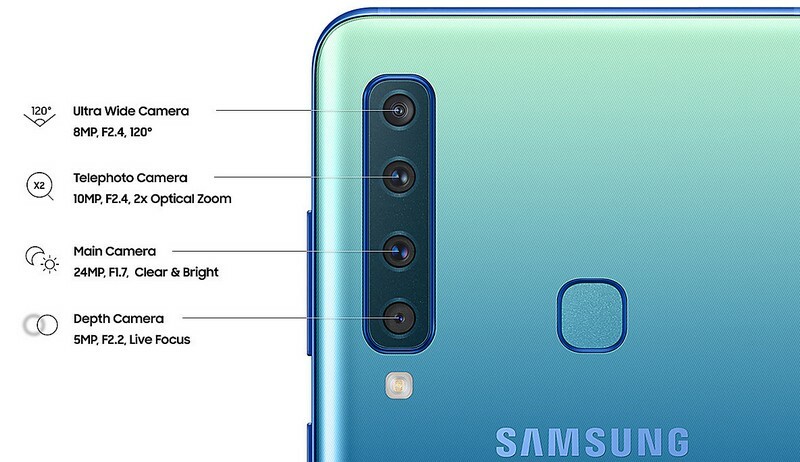 The Galaxy A9’s highlight is obviously the quad camera set-up on the back which consists of an 8MP ultra-wide lens with F2.4 aperture and a 120-degree field of view, that will let users capture group shots or a wide landscape. Below it sits the 10MP (F2.4) telephoto lens which also facilitates 2X optical zoom and the 24MP main camera with F1.7 aperture. At the bottom is the 5MP Depth Lens with F2.2 aperture, which allows the phone to deliver features such as portrait photos with adjustable bokeh, live focus photos and other cool tricks such a the Portrait Dolly. On the front is a 24MP (f/2.0) camera to handle selfies. 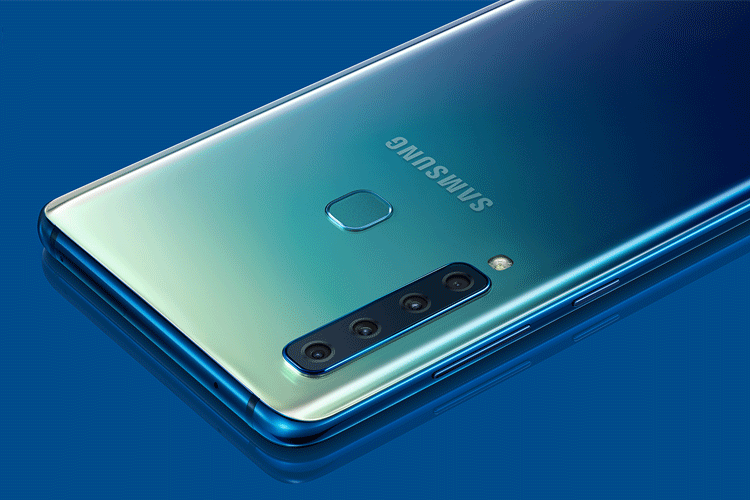 The Galaxy A9 gets the much-appreciated Scene Optimizer technology that we saw in the Galaxy Note 9, which allows the camera to quickly identify the subject and accordingly adjust the settings. As for the remaining specifications, there’s a 6.3-inch Full HD+ Super AMOLED display with a resolution of 1080×2220 pixels. The Galaxy A9 is powered by an octa-core Qualcomm Snapdragon 660 SoC paired with 6/8 GB of RAM and 128GB of internal storage, with support for up to 512GB of expandable memory. 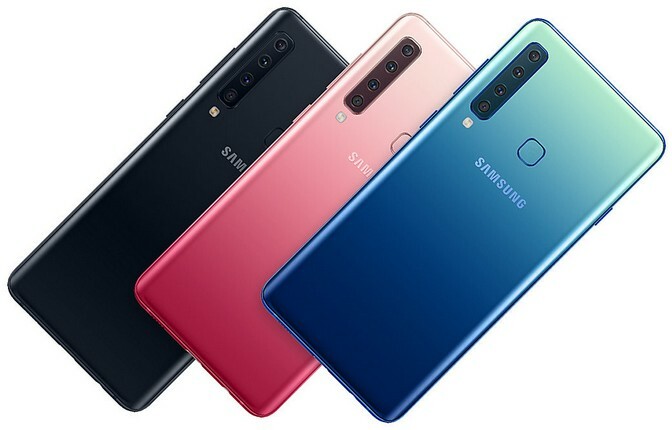 The Galaxy A9 comes in Caviar Black, Bubblegum Pink, and Lemonade Blue color options. We’ll keep you updated with the new device’s pricing and availability details after it is officially launched in India tomorrow. Check out the Samsung Galaxy A9 (2018) on Amazon and Flipkart.